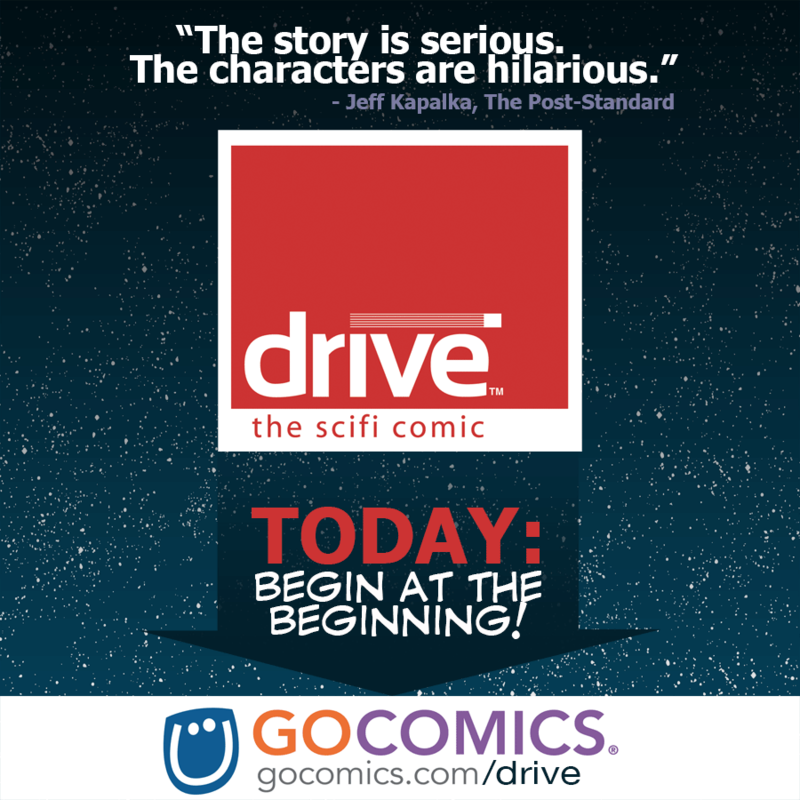 Today, DRIVE gains a second home on the web, at GoComics.com/Drive. The story will begin at the beginning for a whole new audience over there. EVERYTHING REMAINS THE SAME HERE, just so you know: The archives, new strips, and advancing story all stay the same. Nothing is changing, here. 3.) And as always, please tell scifi-lovin' friends to try the strip!